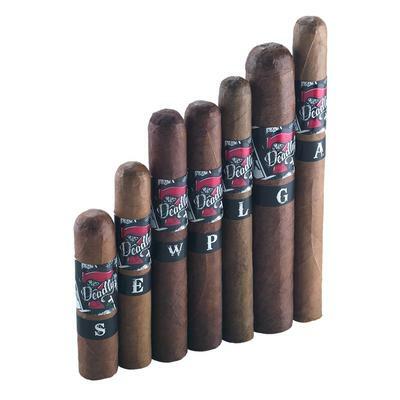 Seven Deadly Sins features one cigar for each sin – Pride, Covetousness, Lust, Anger, Gluttony, Envy, and Sloth – all in different sizes, shapes and blends. Grab this sampler and you can be proud that you’re the only one at the herf smoking a cigar other BOTL will covet and lust after. You might want to share one so they don’t get angry. Save the extra large gluttony one for yourself, and your friends will envy you, as you sit there, relaxed and slothful. This is a very limited-time sale, and at 49% off, missing out on this deal would be a sin.